Directory > Providers > Doctor > Urologist > TX > Fort Worth > Wayne Hey, D.O. DFW Urology Consultants, is a practice of adult and pediatric urology. As urologists, we care for many different problems that may occur with your kidneys, bladder, and entire urinary system. Dr. Wayne A. 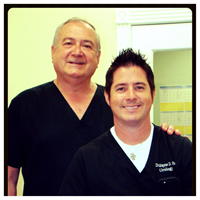 Hey and his son Dr. Wayne D. Hey are the doctors of the practice. DFW Urology has 5 different locations across the metroplex for your convenience. Training Doctor of Osteopathic Medicine at Philadelphia College of Osteopathic Medicine. Completed residency at Detroit Osteopathic Hospital Corporation in 1980 and a fellowship in Fort Worth, Texas in 1986. Payment Options We take most insurance plans including: Medicare, Medicaid and Tricare. Horrible experience.He performed a surgery on my husband that turned out to be unnecessary and he didn't even apologize or anything. Then we found he had several pending malpractice suits.